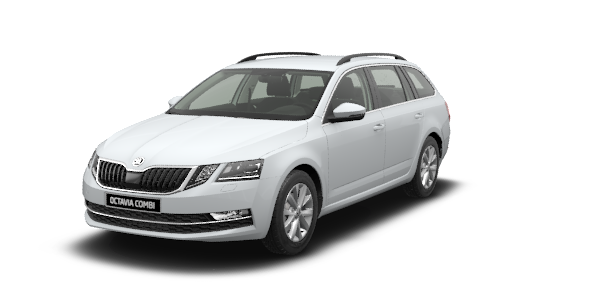 The ŠKODA SUPERB GREENLINE is a perfect combination of dynamic design, generous room for all your family and its luggage, and environmentally oriented technology. The interior of the ŠKODA SUPERB GREENLINE is a perfect blend of dynamic curves, high-grade materials and maximum driving comfort. The vehicle allows all passengers, including those sitting in the back, to relax even over longer distances and many hours of driving. The razor-sharp and steeply angled headlights have been developed with the highest degree of precision. The precise cut, the use of geometric triangular shapes and the three-dimensional contours conjure up striking brand individuality. 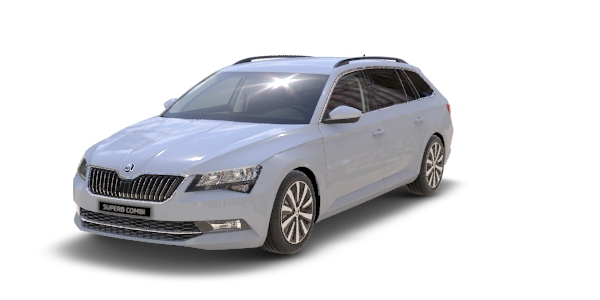 The ŠKODA SUPERB stands testament to the exciting design language from the ŠKODA VisionC design study, taking it from the drawing board to the production line. The result is a real head-turner with a sharp and muscular cut – more poised, expressive and emotionally charged than ever before. Only the subtle GreenLine badge on the tailgate identifies the environmentally-friendly version of the SUPERB. The whole rear section of the car is clearly shaped. The taillights feature ŠKODA’s typical C design with crystalline grinding. The large tailgate provides access to a best-in-class boot (between 625 litres and 1,760 litres). To achieve exceptional fuel economy and CO2 emissions, ŠKODA SUPERB COMBI GREENLINE needs much more than just a state-of-the-art turbocharged engine with direct fuel injection. That’s why we have given it a host of other smart technologies, which will help you to reduce the impact of your commute on both your wallet and environment. On the other hand, being “green” does not mean sacrificing the practical aspects of life. 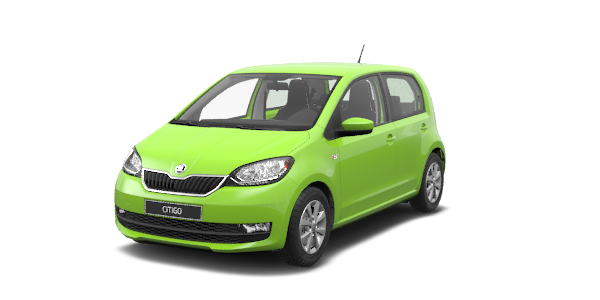 On the contrary, the SUPERB COMBI GREENLINE is as spacious, safe and comfortable as you would expect of a typical ŠKODA car. Frugal engine The modern turbocharged 1.6 TDI/88 kW engine of the SUPERB GREENLINE reports fuel consumption of a mere 3.9 l/100 km and CO2 emissions of 101 g/km while retaining sound driving dynamics. Thanks to turbocharging, it has ample power at the low rpm used by the engine most of the time. In the lower rpm range, the engine is also quieter and features lower fuel consumption and emissions. Direct fuel injection enhances the efficiency of fuel burning, contributing to lower fuel consumption and, consequently, to lower CO2 emissions. Energy recovery Brake energy recovery delivers efficient energy management and is a simply clever way of reducing fuel consumption. What happens during brake energy recovery? Kinetic energy is transformed into usable electricity, stored in the battery or used in electric systems. This saves fuel which would be otherwise used on these tasks. Start-Stop system The idea of the Start-Stop system is to switch the engine off every time there is no need for it to be running, making it particularly useful for urban driving, where it significantly reduces fuel consumption. Gear recommendation The right choice of gear ratio can save fuel while increasing driving comfort. Lower engine speeds result in lower fuel consumption and quieter engine operation. The gear change recommendation is presented on the instrument cluster display. The symbol in the upper right corner of the display either confirms that the current gear is optimal or recommends shifting up or down. Low rolling resistance tyres Low rolling resistance tyres are a simple way of lowering fuel consumption and emissions. Lower rolling resistance is achieved by using a bespoke rubber compound, a specially designed tread and higher recommended pressure. These properties also help to prolong tyre life. Changing the tyres less often not only saves money, but is also kinder to the environment. Improved aerodynamics Active Air Blades reduce aerodynamic resistance and therefore cut down on the SUPERB’s consumption and emissions. If the engine or the air conditioning is not working at full blast, the vents close and the stream of air hugs the vehicle body, resulting in lower losses. Active Air Blades also help to heat up the engine faster from a cold start. The tailgate spoiler, a standard GreenLine feature painted the same colour as the body, improves the air resistance factor by guiding the air flow behind the vehicle. All ŠKODA vehicles are designed to be supremely efficient and achieve low greenhouse gas emissions by employing state-of-the-art technologies. Yet real-world fuel consumption remains in your hands as the driver. Bearing in mind that an imprudent driving style can increase fuel consumption and greenhouse gas emissions by tens of per cent, we’re keen to offer you ten tips to fully harness your car’s potential. Weight slows you down and costs you fuel. Take unnecessary items out of the car – every kilogram counts. And watch out for the aerodynamics, too. Try not to leave your windows open, and remove bike racks or roof boxes when not in use. Hiding in the slipstream behind cars or, preferably, trucks, can vastly reduce the aerodynamic drag and significantly reduce fuel consumption. Just be careful not to get too close! Smoothness is the mother of efficiency. Aggressive driving with lots of braking and acceleration pushes up fuel consumption. Clean, smooth inputs will not only save you money, but also make your journey more pleasant and comfortable. Your car can give its best only if it’s in perfect shape. Make sure that your tyres are properly inflated, your oil and filters are changed regularly and your car is properly maintained by professionals at an authorized ŠKODA Service Partner. Traffic coming to a stop in front of you? Is that green light down the road about to turn red? Lift your foot off the pedal! A coasting car uses no fuel and, by slowing down early enough, you may even be in a position to accelerate again before you come to a full stop, saving yet more fuel! Traffic jams not only eat into your time (and time is money), but also increase fuel consumption, costing you money. By using your ŠKODA navigation systems with in-built traffic information, you can avoid congestion and use your time and money on the finer things in life instead. Brakes turn energy into heat. If your car is equipped with an energy recovery system, you can recoup at least part of this energy. In any case, you’ll save the fuel that would otherwise be used to keep the engine running, which is an unnecessary waste, so switch it off every time you remain stationary for a prolonged period of time. Or leave it to the computer in our Start-Stop equipped cars! High engine speeds translate into more resistance and more friction losses. With modern turbocharged engines in particular, which can achieve maximum torque at low rpms, there’s no need to rev the engine too much. Alternatively, follow the Shift recommendation system. Fast driving usually saves little more than a few minutes, but can significantly increase fuel consumption. Even 10 or 20 km/h can make a huge difference. Driving under the speed limits will not only save you money, but also make your journey safer and less stressful. The ŠKODA Green models are the perfect choice for drivers for whom frugality and environmental friendliness are the number-one priority. Economic engines, a whole range of modern space saving technologies, and brake energy recuperation, the Start-Stop system and low rolling resistance tyres, help both your wallet and the environment.